Pitch is an app for comedy writers to submit jokes on certain topics. Although sites and apps like Twitter and Vine have been used by comedians as platforms to display their joke writing, there have been very few, if any, apps dedicated entirely to the craft of writing comedy. Pitch is a new comedy writing app that allows writers to submit jokes on various topics. 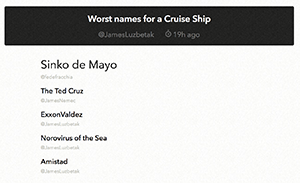 It acts as a virtual writers room, with Pitch supplying a topic and each of the app’s members adding their joke answers. Only the best jokes, as voted on by the community, are displayed to the public. Anyone can download the app and read the jokes, but writers have to be invited. 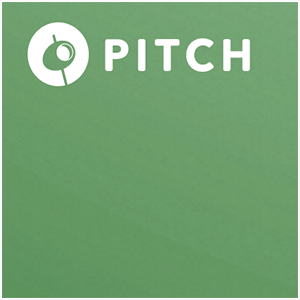 Pitch’s exclusivity could likely limit its growth, as it could be frustrating for users with joke ideas to not be able to participate. The curation of writers, however, will hopefully keep the content on the app strong. Each Pitch writer has a profile on the app, so you can learn more about them, their past pitches, and their joke statistics. The app also apparently partners with companies like Funny or Die, which take content from them, and pay out the writers. It’s a good opportunity for anyone interested in comedy writing—whether you want to apply, learn more from the best of the craft, or just read some funny jokes. No matter your situation, Pitch is worth a download.